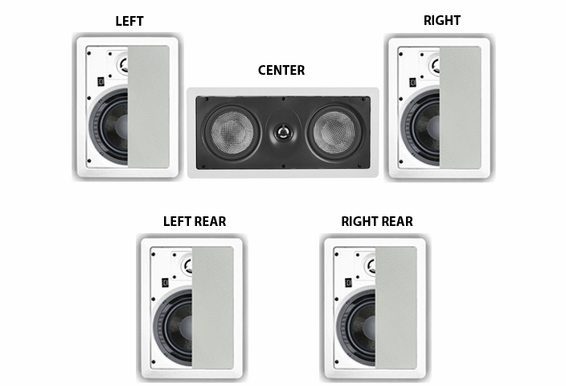 This complete 5.1 in-wall speaker package delivers high-end home theater at half the price! The Audiophile Series 5.1 surround sound bundle includes Left and Right channels plus a center channel for an outstanding front stage. 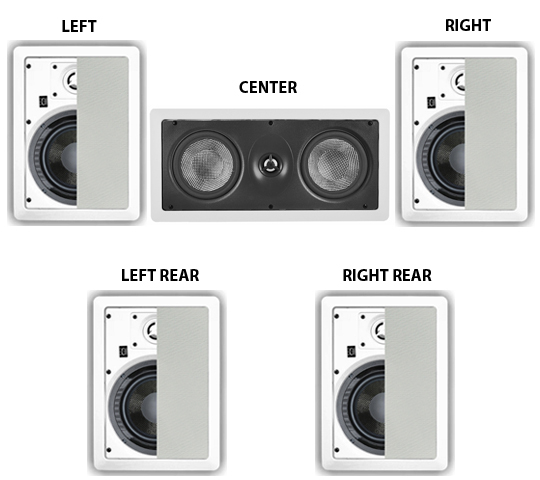 The kit also includes left and right rear speakers to complete the surround sound package. Perfect for small to medium sized rooms, all you need is a home theater 5.1 receiver and a subwoofer (or two) and you'll have the home theater you've always dreamed of owning. Audiophile Series 5.1 surround sound bundle. This kit will provide you with a high end home theater system for a small to medium sized room. All you need is a home theater 5.1 receiver and a subwoofer.